5. Click on Number Assignment. 6. Standard Configuration would be to set one line to one handset, i.e. Line 1 would be ticked only against H1, for both incoming and outgoing calls (the name will be the label you set on the account details page). The default for outgoing would also be 1. Click Confirm to save. 7. 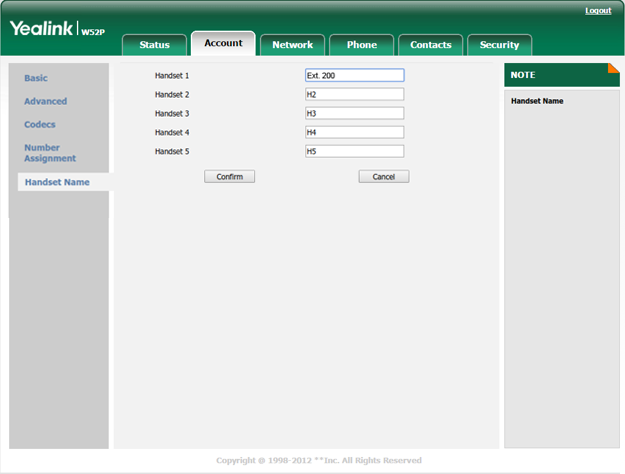 Click on Handset Name and give handset the same name that you put in the label field on the account registration page. 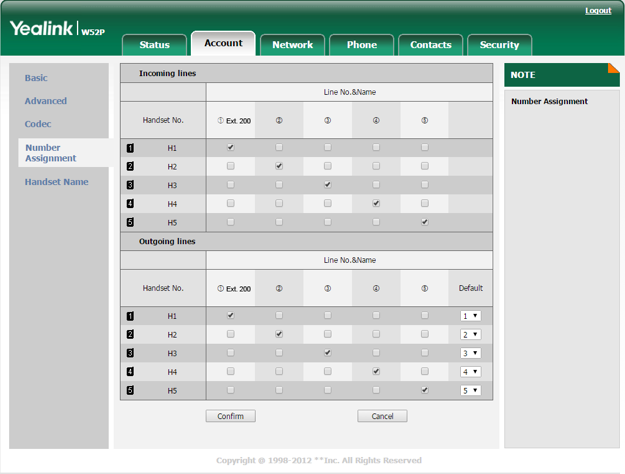 Click Confirm to save and your Yealink handset should be setup. 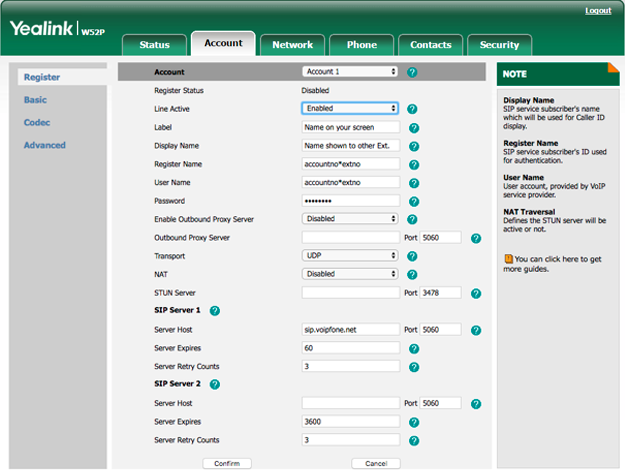 Please Note: These are basic account settings for getting your Yealink W52p registered and does not include security settings for your phone or your network, or settings that would be personal preference. For more information please contact your IT support team or the hardware manufacturer.